How would you feel if you are working on a project on your own? Well, you could always use a little help from the other members, if you are working in a team. A team plays a crucial part of a child’s academics since he is able to learn the ethics of working in an organization, where he may encounter people with different mindsets. It lets him build a positive relationship with the other members through effective communication. As one of the best schools in Panchkula, at Hallmark Public School, we ensure our students learn the importance of working in a team. – It helps in the overall development of a child and the others associated with the team. – A child gets support from other members of the team, which helps in boosting his confidence. – Responsibilities and tasks are shared. This doesn’t put too much pressure on one member of the team rather everyone gets a chance to showcase his/her potential and capability. – A student is able to take responsibility for his tasks. This way it is made sure that each child is performing well. – Children work towards reaching the goals of their specific team and help them stay committed to their task. – The members of a team learn to trust each other. – Students learn the importance of deadlines and time management. – Each member’s point of view and opinion is taken care of while working in a team. – To help the group succeed, each child has to contribute with different ideas. This gives them different ideas to achieve their goal. – While completing a task, the members sometimes find hard to work with each other. Due to this reason, conflicts can arise which help the children develop strategies to avoid such situations in the future. It is crucial that students learn the importance of teamwork so that they do not face any difficulty when they get into an organization. 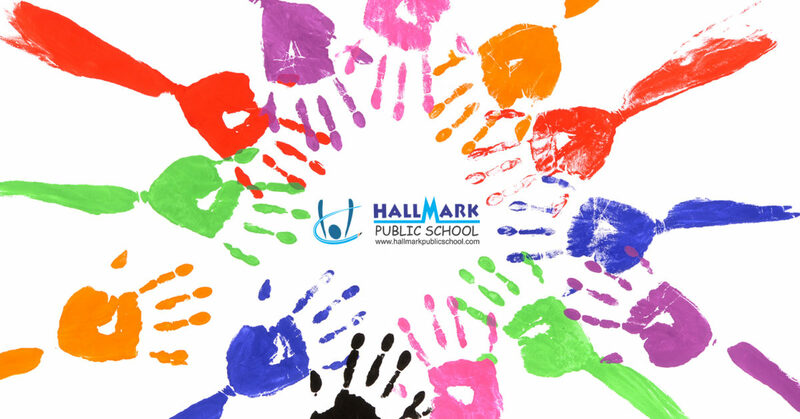 As the best CBSE school in Panchkula, at Hallmark Public School, we ensure our students get to work in a team effectively.